On February 7, 2009, the “Black Saturday Bushfires” became the worst natural disaster in Australia’s history. 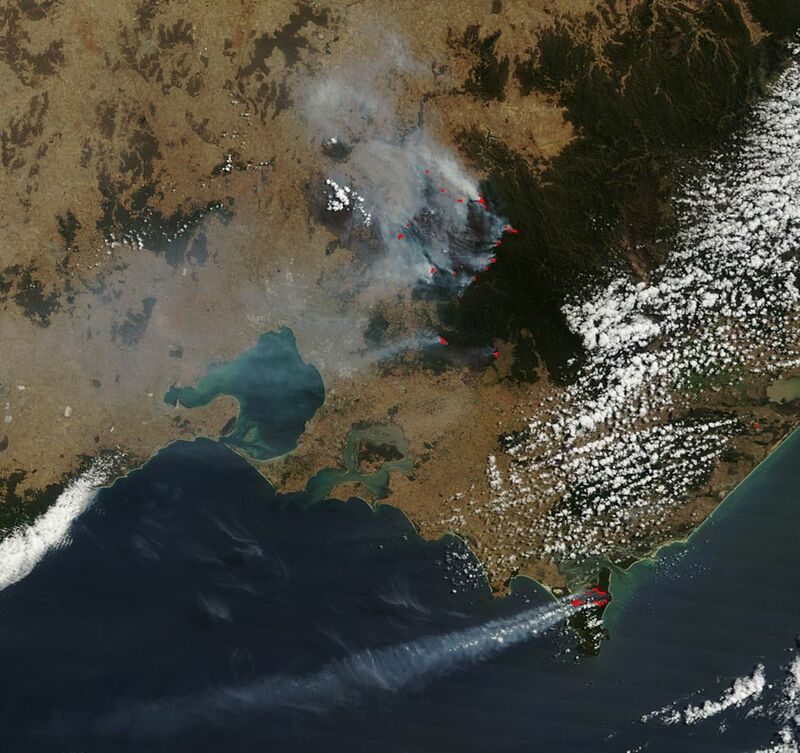 On February 7, 2009, the Australian state of Victoria experienced as many as 400 individual bushfires. These wildfires scorched more than 4,500 square kilometers (1,737 square miles) of land, destroyed 2,029 homes, and killed 173 people. Recovery cost more than a billion dollars. The so-called “Black Saturday Bushfires” are often called the worst natural disaster in Australia’s history. Bushfires are a common threat in Australia’s arid summer climate. Victoria had been enduring an unusual heat wave, with temperatures as high as 48 degrees Celsius (115 degrees Fahrenheit) and almost no rain. In addition, winds were recorded at more than 100 kilometers per hour (62 miles per hour). The government imposed a total fire ban across the state. Most of the bushfires were the result of arson, collapsed power lines, and natural events such as lightning strikes. The fires were not fully contained or extinguished until March 14.
crime of intentionally setting an illegal fire. to put an end to or completely do away with. period of unusually hot weather.